Jerry Baker calls himself "America's Master Gardener," and is known for the many plant sprays and fertilizers that he concocts from ingredients you might find around the house. For example, to keep cats from using the soil around a prized plant, he suggests mixing flour, powdered mustard, cayenne powder, chili powder and water together to sprinkle around the plant. To sterilize a tree wound, he recommends a mixture of ammonia, liquid dish soap, antiseptic mouth wash and water. To drive away catapillers, puree a cup of orange peels in boiling water and use it as a spray. Liven up your herb garden with a soup made of beer, ammonia, Murphy's Oil Soap and corn syrup. To green up fading plants, hit them with a mixture of beer, ammonia, dishwashing liquid, liquid lawn food and molasses. For details about his home-made remedies, see his "Giant Book of Garden Solutions." According to a recent survey by the National Gardening Association, 21 percent of this year's gardening households will be new to the activity. 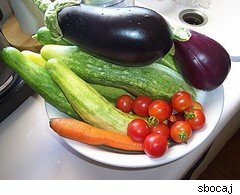 The average gardener will put $70 into his garden, and the median 96- square-foot garden will yield around $200 worth of fresh vegetables and fruits. The five hours a week the gardener will put into the effort should count toward the exercise many of us badly need. Some gardeners, however, will put out a lot more than $200 to grow these vegetables, because the gardening stores are full of fancy gizmos and soil amendments that can blow your budget. To go green for less, the wise gardener will look for ways to succeed as cheaply as possible, such as those Baker suggest. A shovel works as well as a rototiller. Compost will improve your soil just as well as prebagged potting soil. $5 cotton gloves work as well as $30 ones. Some horticulturalists contend that Baker's brews can be ineffective or counterproductive, so take his advice with a grain of salt. When in doubt, ask your grandparents. The point, though, is that not every garden malady requires a prepackaged chemical. Rotating crops, proper mulching, and a little hoe work can cure a lot of ills. And come this summer you could be eating the product of your labors. That's a flavor-enhancer that can't be beat.